To uphold and defend the Constitution of the United States of America; to maintain law and order; to foster and perpetuate a one hundred percent Americanism; to preserve the memories and incidents of our associations during the Great Wars; to inculcate a sense of individual obligation to the community, state and nation; to combat the autocracy of both the classes and the masses; to make right the master of might; to promote peace and good will on earth; to safeguard and transmit to posterity the principles of justice, freedom and democracy; to participate in and contribute to the accomplishment of the aims and purposes of the American Legion; to consecrate and sanctify our association by our devotion to mutual helpfulness. Michelle Haywood, Cynthia White, Myrtle Hall, Alice Mayfield. 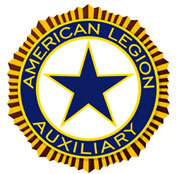 American Legion Ladies Auxiliary Meetings are the 3rd Thursday of each Month.